Looking for innovative, fashion forward hairdressing look no further Byford's Capes and Scissors is the place for you. Located in the rolling hills of Byford this beautiful salon has it all. They offer all aspects hairdressing, using Joico professional hair products you will leave looking and feeling amazing. It doesn't stop there though, we also provide beauty treatments. From relaxing customized facials to all your waxing needs this is the one stop salon to cater to your every need. Come and see Sharlene and her team today for expert advice and top rating customer service. Men, ladies and children are all welcome. ENVE ME is a Hairdressing Salon specialising in BioIonic Hair Straightening. We are one of the few Fully Trained, Fully Certified Bio Ionic Salons in the Perth Metro area, Western Australia. We also promote and use of low ammonia EVO products. Please check out our website for further information. Bella Hair & Day Spa, is a relaxing oasis of a Hair and Beauty treatments for ladies, men and groups. Bella Hair & Day Spa is dedicated to your wellbeing - from head to toe - and offers you a one stop retreat featuring the finest is skin & body treatments, and expertise in hair styling. Once you enter Bella Hair & Day Spa you will be swept away on a journey of hair, body, and skin treats using only the finest of hair, skin and body products. We are dedicated to the ongoing health and care of your hair, and our skilled skin professionals can correct any skin concerns, or maybe delight you with a relaxing scrub, massage or body wrap! 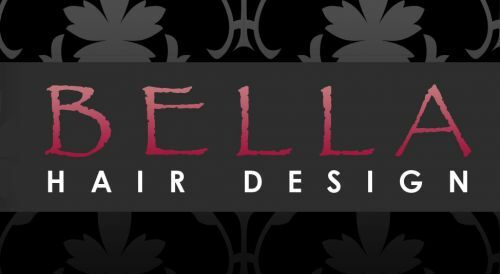 Bella Hair & Day Spa's hair stylists are second to none, and their expertise is much sought after by locals and guests to Armadale. Treatments in our indulgent day spa include an extensive range of beauty treatments including massages, facials, body scrubs and wraps, hot stone massages and a wide range of spa rituals. Haven't been to see us before - click the link to download your FREE $25 Gift Voucher to use on your first visit. http://bellahairanddayspa.com.au/your-free-gift/ Please call us to make your appointment, you'll be glad you did!